Is Davina Rankin going to be on Love Island? It doesn't look like it. Why Married at First Sight's Davina rejected an invitation to appear on Love Island. 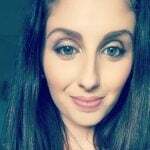 Married at First Sight season five contestant Davina Rankin has shared the reason behind why she turned down a role on Channel 9’s Love Island. And it has a lot to do with the new romance between her and current boyfriend, Jaxon Manuel. In a recent interview with the Daily Telegraph, the 27-year-old explained that she had, in fact, been approached about being on the new dating show, hosted by Sophie Monk, but declined the offer. “We [Davina and Jaxon] are now in a relationship, and I wouldn’t risk it for anything,” she said. Davina had been friends with Jaxon, part-owner of Brisbane cafe chain Pineapple Express, for years and said he was very supportive of her through the online vitriol that followed the airing of Married at First Sight. While Davina admitted she was concerned about what impact her on-screen affair would have on her future dating prospects, Jaxon said he ‘wasn’t interested in it at all’ which was reassuring for her. We discuss Davina’s last hurrah on the Married At First Sight finale. Post continues after. “He’s been my friend forever, so it was really nice to form something with someone who already knows me, and not what they’ve seen on TV,” she said.